AEEE 2019 exam date is out. Amrita Vishwa Vidyapeetham University will conduct the AEEE in April. The Computer-based test will be held from 22nd to 26th April 2019, whereas, AEEE in pen and paper mode will be conducted on 27th April 2019. The online application form of AEEE 2019 will be released tentatively in the first week of October 2018. The application form will be available in both online and offline mode. 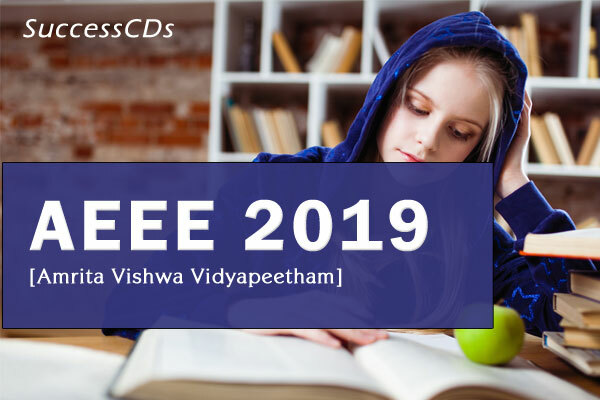 Candidates can check below complete details about AEEE 2019 including its eligibility criteria, application procedure, syllabus, exam pattern, admit card, important dates, result and counselling. 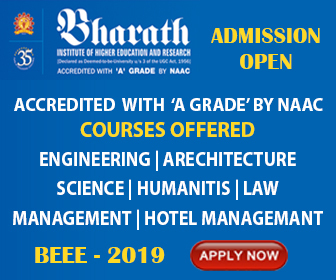 Amrita School of Engineering, Amrita University offers the following B. Tech. Programs in its Amaravati*, Amritapuri, Bengaluru, Chennai and Coimbatore Campuses. To apply for Amrita Entrance Examination Engineering (AEEE-2019), the eligible and interested candidates should register for AEEE-2019 by submitting an application in the prescribed form either ONLINE or by using a printed OMR application, BUT NOT BOTH. Click here or more Engineering Entrance.